This is a very long and very detailed recounting of how From a Whisper to a Scream was made. Director Jeff Burr, Co-Writer C. Courtney Joyner, Producer and Co-Writer Darrin Scott, and others talk about the trials and tribulations that they had to go through to get the film made. 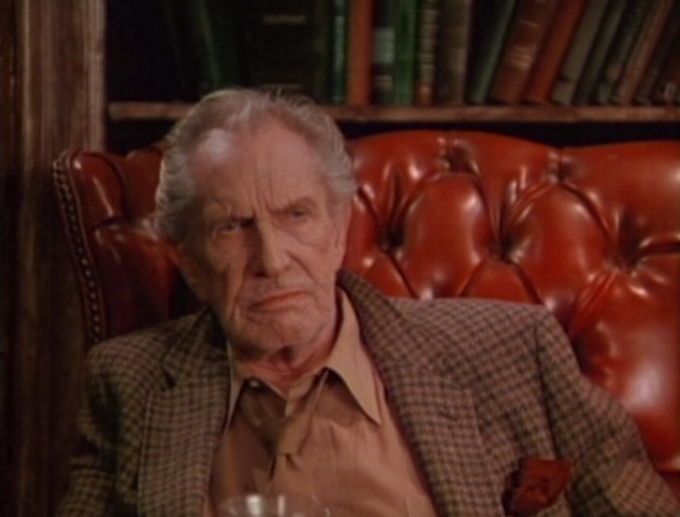 There are some great stories to be told, like how they got Vincent Price to be in the film and then made enemies of him. They talk about how hard it is to shoot an anthology, but they also talked about how easy it was. The film shot for four weeks, one week for each story. This Ballyhoo produced documentary is well made and includes vintage footage from when the film was made as well as a ton of photos taken from the set. For lovers of the film, this is a Godsend, but the film is not without its faults. The doc runs a little bit too long. I think that the filmmakers wanted to make the doc as long as they could so they include almost every bit of footage they shot. This gives the doc a pace that drags in the middle. The filmmakers also don’t have interviews with most of the cast so they try to hide that by making the interviews that they do have longer. 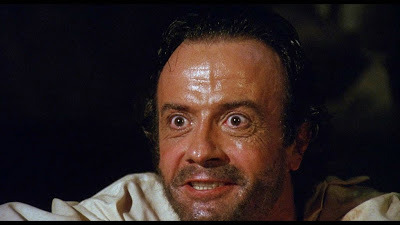 It would have been nice to have a fresh interview with Clu Galager (he is represented here in archival footage), as well as an interview with Terry Kiser. That being said, this is a well-made documentary. The stories are really good and the participants are eager to tell their tale. The doc does run long, but their hearts are in the right place. I would still recommend this doc to any horror fan who wants to get an inside look into how different films are made. This is another Ballyhoo made documentary, this time focusing on the years prior to making From a Whisper. Jeff Burr, Mark Hannah, Allen Posen, and others relive the days when they were young and making films on 8mm and Super 8 film stock. The town that the filmmakers lived in was uncommonly nice to the young filmmakers by allowing them access to a lot of things in the town (ie stores and other businesses, etc) as well as allowing them to show their films in the town. This is a fascinating look at young filmmakers who just wanted to make films and the town who helped them achieve their dreams. We get to see a lot of footage from the films the filmmakers made and there are plenty of interviews with the parents of filmmakers as well as some of the town’s people. I really liked this doc as we do not get to see this kind of thing every day. Filmmakers always talk about where they got their start, but rarely do we get to see any of their early shorts. Even rarer is getting more than a few minutes of the filmmakers talking about their days shooting short films and honing their craft. This is a wonderful documentary that needs to be seen by any inspiring filmmaker as a push to do what they need to do to get their films made. Behind the scenes photos with commentary from director Jeff Burr. I am not the biggest fan of still galleries and this one is no different, but for those that like them, here you go. The commentary is a nice addition to something that is usual so bland. Standard trailer that sells the film, but isn’t very good. Makes the film out to be something else. one and say you watched the other four and no one would know. Jeff Burr is a very knowledgeable person who has a very friendly disposition. He comes across as someone you would love to have coffee with. This track is pretty good, but it covers a lot of things that are covered in the documentary. Still, there are some good stories and laughs to be had. I would say that this track is worth a listen. This is a more straight-forward track. The two definitely play off of each other, but there is a little less fun to be had here. That being said, we do get a lot more stories that are not included in the documentary and we even get to hear about some of the problems that the filmmakers faced during post-production. I really liked the stories told here so I would have to say that this is worth a listen as well. Scream Factory gives us the standard packaging for this blu-ray release. We get the original poster for the film before the studio that released the film changed the title to The Offspring, and thus, the poster. Scream, however, was kind enough to include the other poster on the opposite side so that you can choose which cover you want. The single blu-ray disc is region A locked. Until about ten years ago I had never heard of From a Whisper to a Scream. It was only when I was reading a book about Vincent Price did the film come to my attention. I am an anthology whore, so I looked high and low for it, but the only copies that I could find were going for big bucks that I was not willing to pay. Thankfully Scream Factory came to the rescue. From a Whisper to a Scream is a decent anthology. There are four stories presented here with a wraparound story involving Vincent Price. The film gets off to a rocky start with one of the worst prison executions I have ever seen. It isn’t the lethal injection thing that is wrong, but everything else. It doesn’t look like a prison at all and the acting is terrible. This is not the way to start a film off. The second story is about a man who runs afoul of some mobsters in the 1950’s. He is shot and left for dead but is brought back to life by an old black man who lives in the furthest reaches of the swamp. The man (Terry Kiser) is convinced that the man who saved him has found the fountain of youth and he wants to have it for himself. Of course, this being an anthology things go very bad for the man as his greed gets the better of him. The third story involves the circus and a man who can eat anything. The man falls in love with a woman who attends the show. 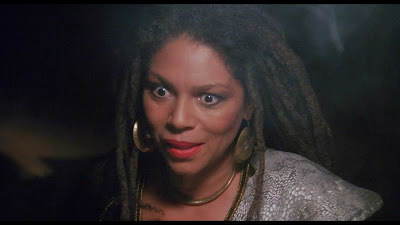 This angers the Snakewoman (Rosalind Cash) and she seeks to destroy the union as quick, and as gory, as possible. The last story takes place during the Civil War. Four soldiers come across a house of children. The children seem to be orphans, but things are not what they seem. The blu-ray from Scream is really good. We get two commentary tracks that are both worth a listen and two documentaries that are both worth a watch. Scream went above and beyond with this edition and I think that the features are better than the film itself. Burr is a competent director and the film has a creepy feel to it, I just don’t think that it works overall as a film. This is more of a curiosity piece than anything else.